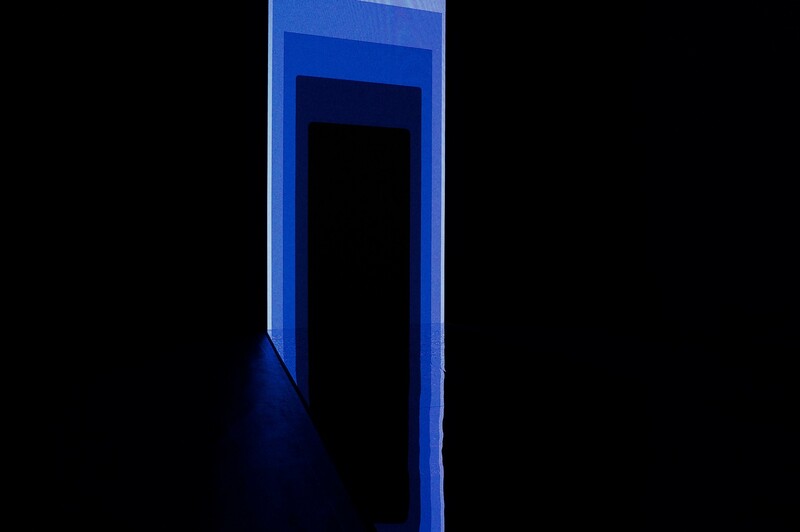 ‘Portal’ is an immersive and responsive audiovisual installation that blurs the limits between real and virtual space – a digital citation of Joseph Albers ‘Homage to the Square’ – created for the Google Pixel Launch at König Galerie in Berlin. 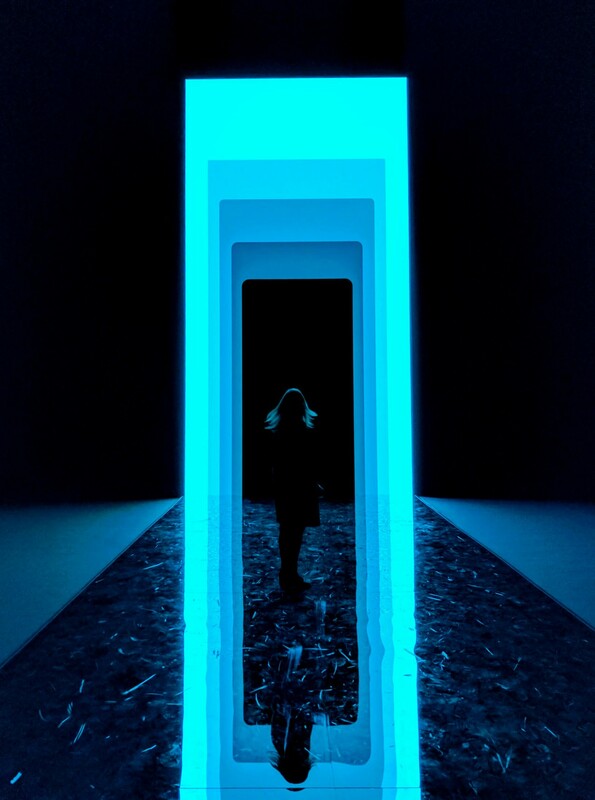 An eight-meter-high monolithic object was situated at the end of a twenty-meter-long mirrored walkway. 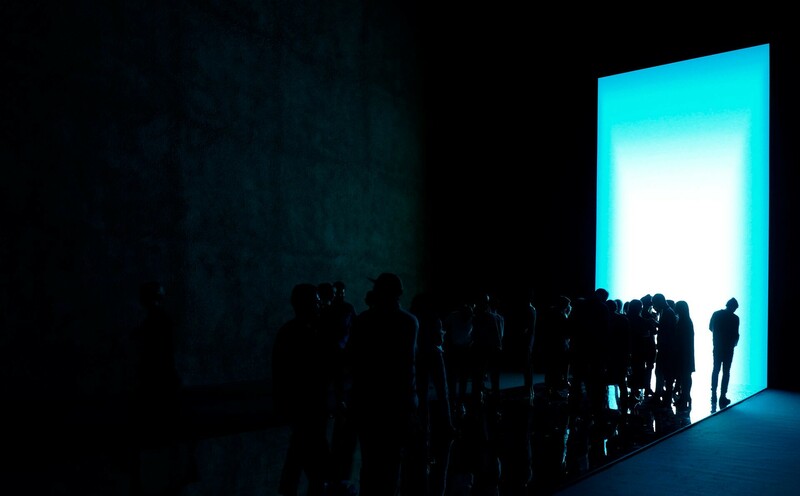 Facing the walkway and embedded in the monolith is a format-filling LED screen. Applying an array of infrared cameras in order to track the people moving on the walkway, we converted this data using the vvvv system and a Max/MSP patch, so that it controlled the visuals and the sound. Stepping onto the walkway triggered a bright impulse and walking from end to end shifted the visuals through the entire color spectrum. 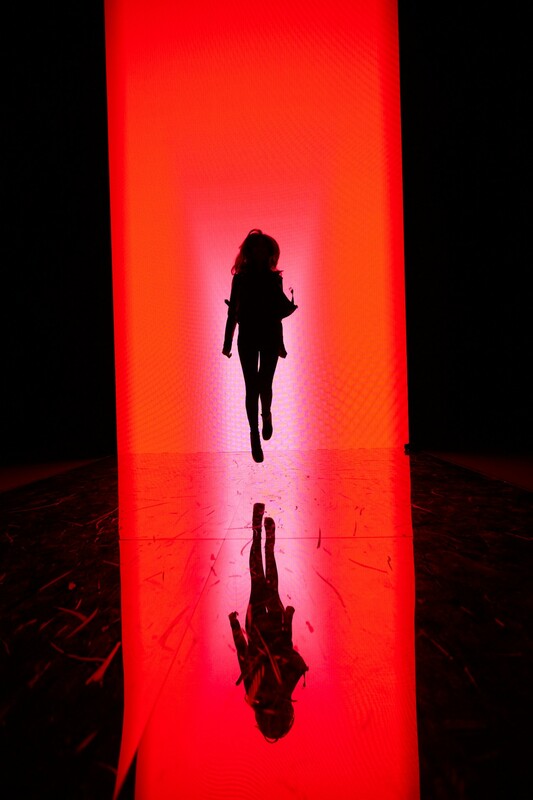 The number of participants controlled the complexity and depth of the installation on both the visual and the auditive sides. 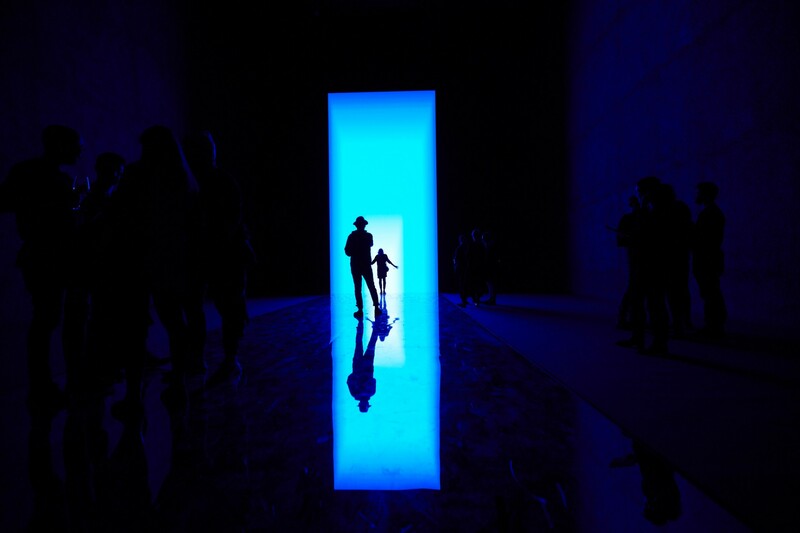 With the visuals, we played with the perspective of the rectangular, colored and pulsating arches visible in the screen, so that as more visitors occupied the walkway, more rectangles appeared and stretched along the z-axis. 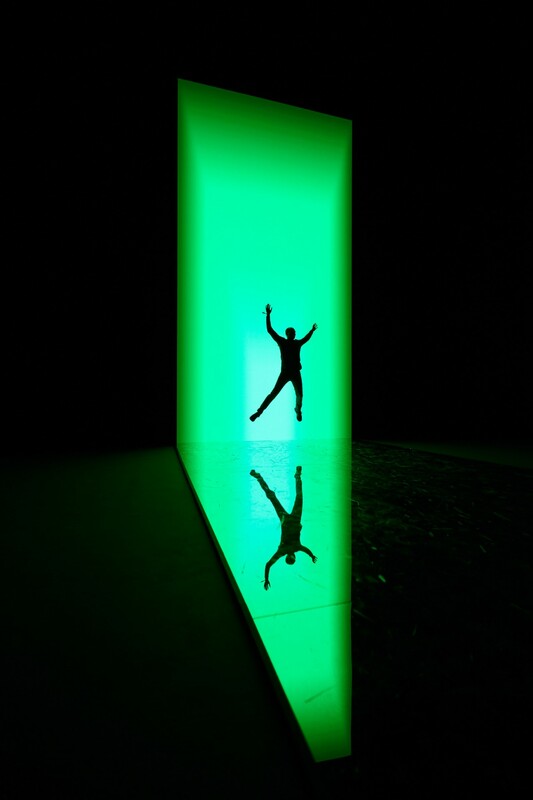 This effect, in combination with the reflection in the mirrored walkway, created the illusion of floating in space and moving through a portal, into a room with infinite depth. This cumulative effect was mirrored by the audio. 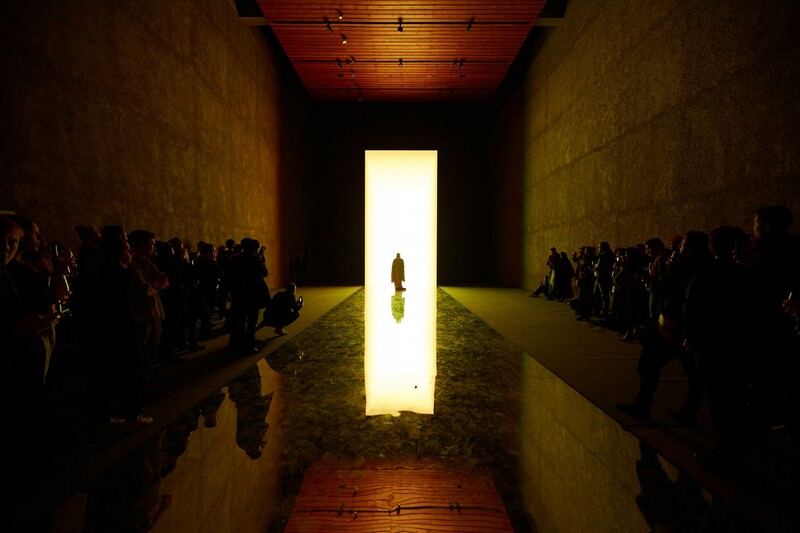 As one viewer stood on the walkway, a delicate, whirring sound moved around the space. 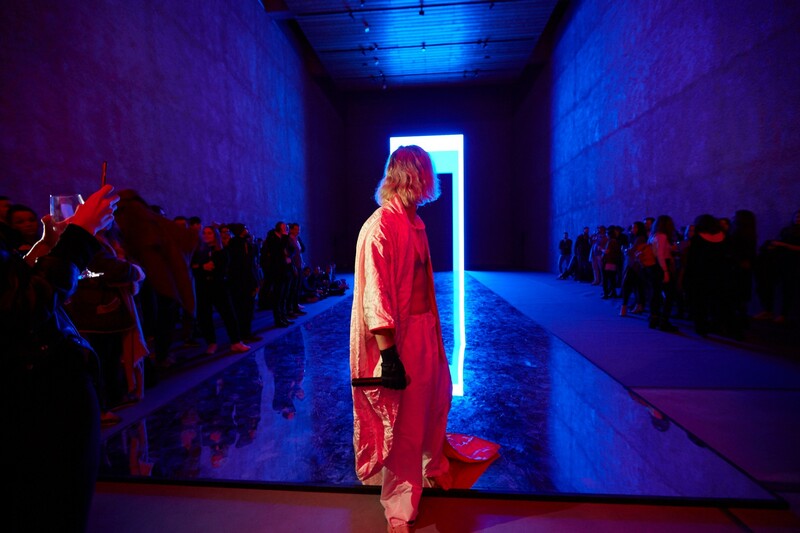 As the infrared sensors registered more people, so the music became more nuanced, gaining in depth, and when large amounts of viewers were present, it also gained in breadth and built up to a dramatic crescendo, which reverberated throughout the enormous space. 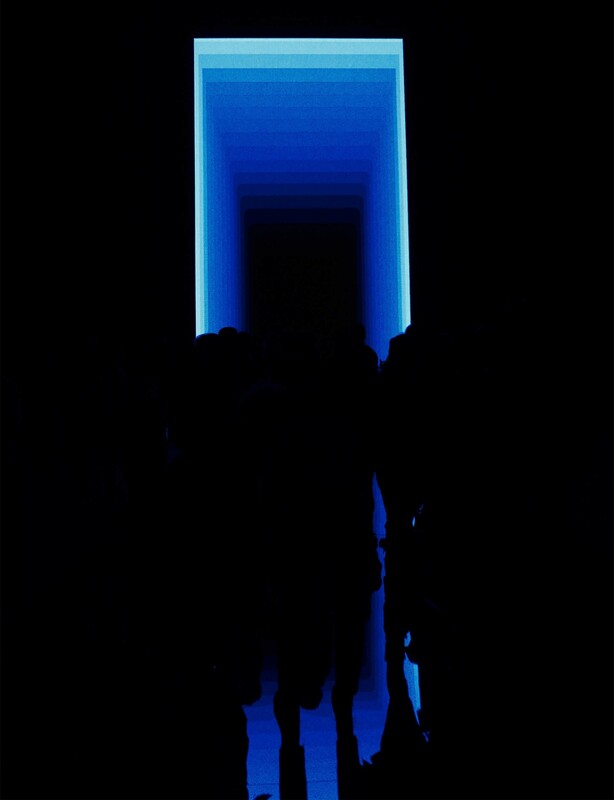 When the viewers on the walkway reached a distance of one meter from the screen, the portal that was visible morphed into a uniform, bright-colored, format-filling surface. 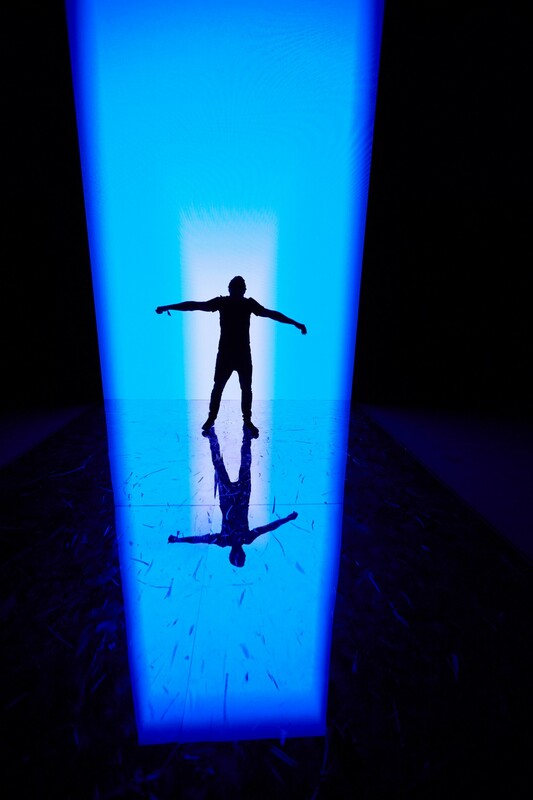 The viewer appeared as a dark silhouette against this bright background, thus providing a very memorable moment. 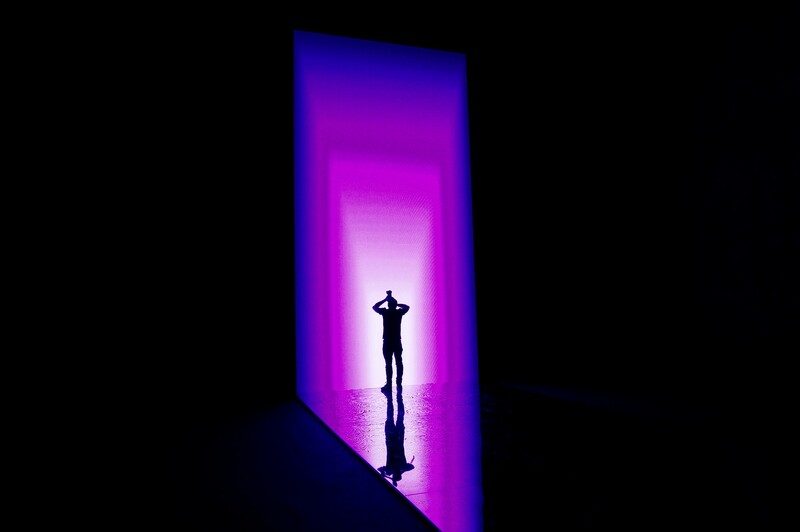 The installation was open to the public for two days and during this time, it was also used as the setting for a musical performance.